Here at Compunetix our employees have a wide variety of interests beyond collaboration and conferencing. We have web designers who front country bands, video engineers who play a mean game of volleyball, and executive assistants who excel at photography. We also have a dedicated application engineer who cycles to work each day, and has taken an interest in the growing bicycling culture of Pittsburgh. 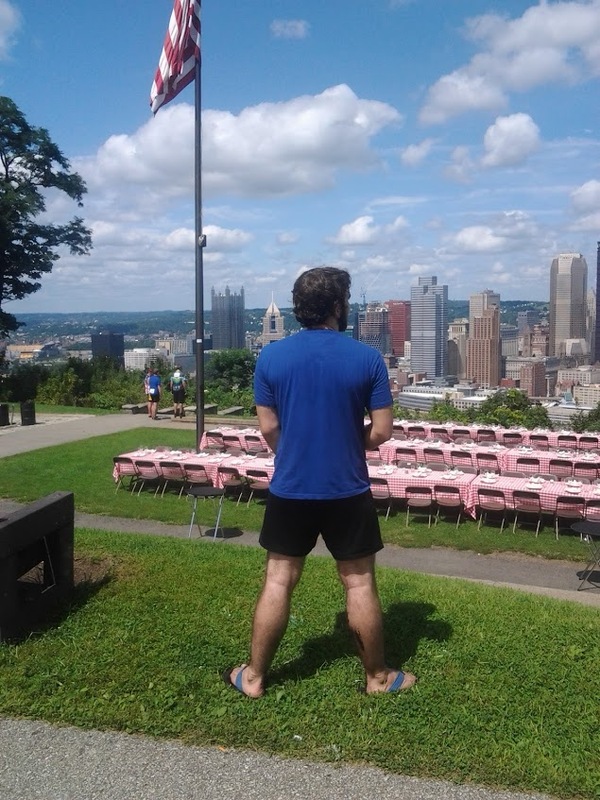 Over the weekend, he participated in Pedal Pittsburgh, an event that promotes a lifelong recreation that is healthy for the body and good for the environment. Here are engineer Jon Webb’s thoughts on his experience; we encourage everyone to check out Pedal Pittsburgh and Bike Pittsburgh! Thanks Jon! “I’ve been riding in Pedal Pittsburgh with my kids since they were able to ride a bike – usually the shorter rides, 15 or 25 miles. As they grew up I gradually lengthened the ride. This year I did the 62 mile (metric century) ride with my son Peter. It was a beautiful day. The route took us from the park at 18th Street on the South Side down through downtown, then across to the North Side and up through the North Hills, then back across the Allegheny to the East End, and then through Oakland and across the Monongahela to Mount Oliver and Mount Washington, finally finishing back at the park. It was a challenging ride – any long ride in Pittsburgh basically has to be, because of the hills. But we had a great time, and saw a lot of Pittsburgh. One of the nice things about doing Pedal Pittsburgh year after year is that you can see how the city (and the biking community) has been gradually changing and improving over time.